Think for a moment, hasn’t Rishabh Pant done enough to give us an archive of moments that covers both the extremes? Today, Pant went on an over-the-top celebration and vociferously hugged Virat Kohli from the back for his run-out attempt but was embarrassed after the replays came on the big-screen. After Australia started their innings on a very good note, India felt the pressure. After all, they haven’t lost three consecutive ODIs at home since 2009, and this is as much as a case of getting the confidence back ahead of the World Cup as much as about securing the bragging rights. All said and done, this was also an opportunity for Rishabh Pant to make a statement of his own in his home city, but then again, for everything he is going to do that will be judged by the MS Dhoni prism. Expect nothing else. On the fourth ball of the seventh over, Jasprit Bumrah bowled a good length delivery which Usman Khawaja shimmed down and tapped it to point. However, Aaron Finch and Khawaja both wanted to go for that run, almost like an ego challenge to Virat Kohli who was fielding at the region. Trust Virat Kohli to pay back ice by fire and he was so tempered that he literally did that. The Indian skipper ran across and made a perfect dive to his right before throwing it to the striker’s end with elan. It was so ferocious in its intent that the angle judgement was perfect, the hand-eye coordination was impeccable and the stumps were taken down in precision. Although it seemed like Aaron Finch had made it in time, Kohli made an appeal and the umpire obliged him to go for upstairs. 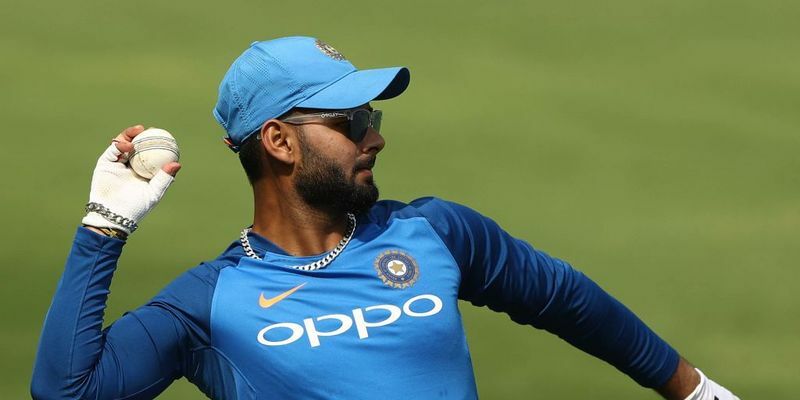 Pant, however, was the most animated and hugged Kohli from the back in such a way that he was sure about the dismissal. His confidence, however, got a severe beating when the replay suggested that Kohli’s throw wasn’t even close to the stumps when Finch made it to the crease. Pant was, of course, celebrating early, but then again, the comparison scale says that "Wait bro, what is the hurry. You are not MS Dhoni yet."